RAM’s X-Grip® is one of the best-selling, most trusted device mounts on the market. 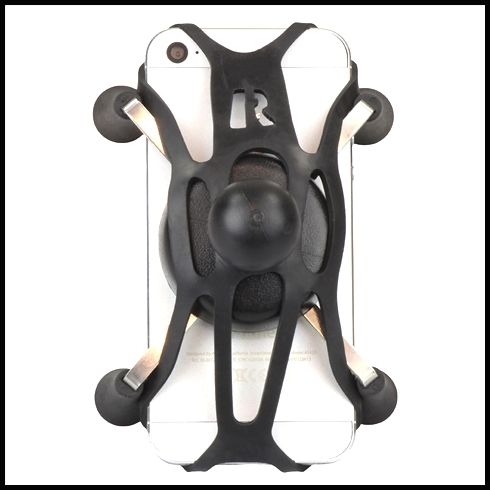 The X-Grip® provides simple mounting and a secure hold for phones and tablets of all sizes. Under extreme environments, you can ensure added piece-of-mind with RAM’s X-Grip Tether. The X-Grip Tether is recommended for out-of-cockpit applications where excessive wind and G-force could cause movement of the device within the holder. It’s also great if you just want a little added stability and vibration control when capturing video from the mount. The Tether is made of high-strength elastomeric material and fits around the X-Grip® holder for easy device insertion.